Lying about 50 miles northeast of the city of Los Angeles, California, sits Lake Los Angeles, a community in the eastern Antelope Valley whose lake, today, is the non-existent remnant of the town’s manipulative speculative real estate history. Lake Los Angeles has no lake, and sits on the western edge of the Mojave Desert at an elevation of over 2600′, feeling much closer to an eastern California desert town and much further from the metropolitan image evoked by the name, Los Angeles. Once called Wilsona after then-president Woodrow Wilson, and then Los Angeles Buttes, it was real estate speculators in the 1960’s Antelope Valley development boom that changed the name to Lake Los Angeles, along with taking a small natural lake formed in a basin around Lovejoy Spring and developing it into a larger pair of artificially-filled lakes – one dedicated to fishing and one to recreational boating and swimming. Along with the new lake and name came a new image, reinforced by advertising portraying the area as a resort destination and mentions of a country club and lakefront luxury lots. 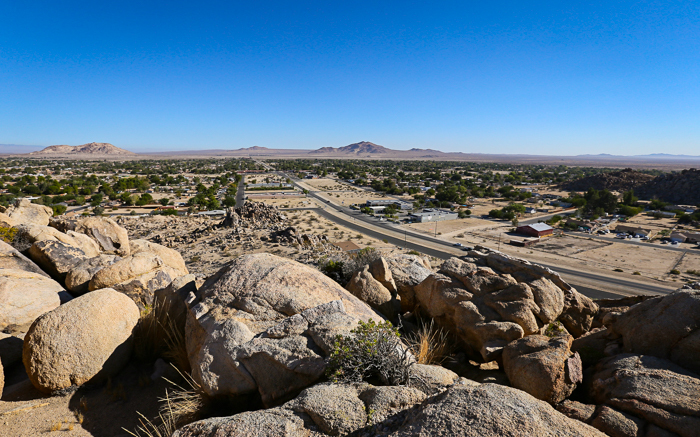 In reality, the mostly barren region of the High Desert had a history of being used for filming movies and television Westerns which capitalized on the area’s sparse desert landscape, and the manmade lakes were only around 5 feet deep. Of the initial 4000 acre purchase, the real estate speculators subdivided the land into 4465 lots. 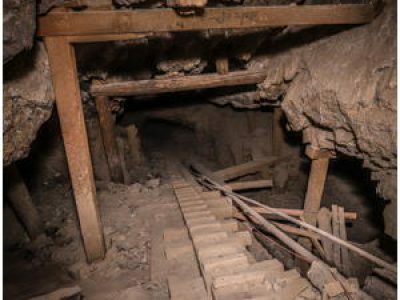 Many of these lots were purchased by buyers who had never actually visited the region. Similar to nearby California City, the original speculators eventually sold their interests in the town. 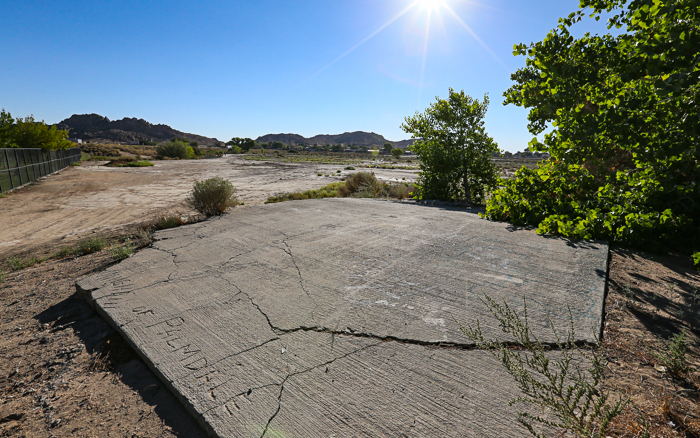 With ongoing conflict within the community over the funding necessary to keep the artificial lakes filled, by the 1980’s the lakes evaporated, leaving an empty basin surrounded by several of the area’s buttes and some concrete ruins of the lake’s infrastructure. 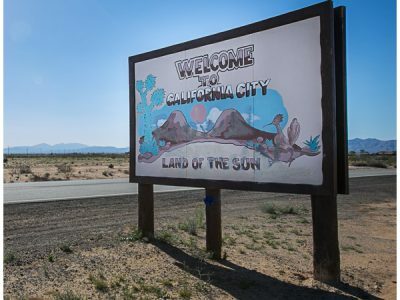 Currently, the town, which still remains partially within the city of Lancaster and partially within Palmdale, has a population of around 13,000, and remains predominantly a commuter base for those who work elsewhere. 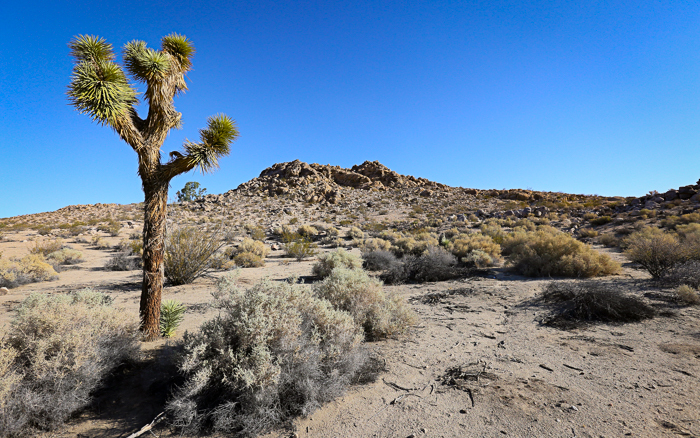 Nearby stand some of the tallest joshua trees in Los Angeles County, along with several parks and wildlife sanctuaries, and a city park and community center have been built at the edge of the site of the lake and Lovejoy Spring, which has since run dry. 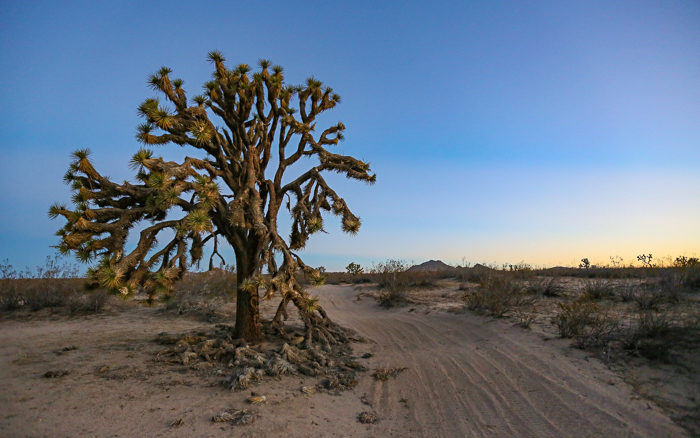 Several filming locations continue to offer their false building fronts and empty indoor spaces to those who want to take advantage of the area’s colorful sunsets and mostly-unchanged dirt backroads winding amongst rock formations and sandy washes. 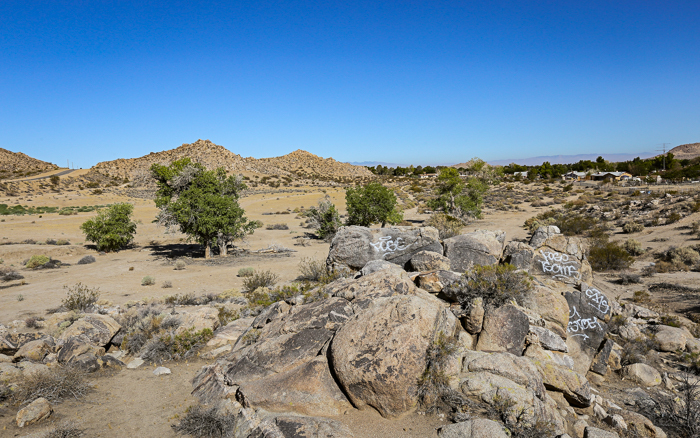 The town of Lake Los Angeles, however, remains a quiet small community, the once-lakefront homes stand beside dusty paths used by dirt bikers and the concrete boat ramps now some of the available real estate used by amateur graffiti artists. The original speculators are long gone, and those who live here today disagree about what direction to try to take the community. 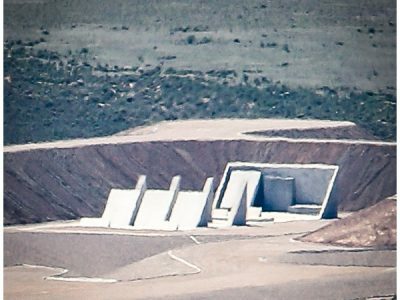 The water is gone, save for occasional flash floods across the desert floor. 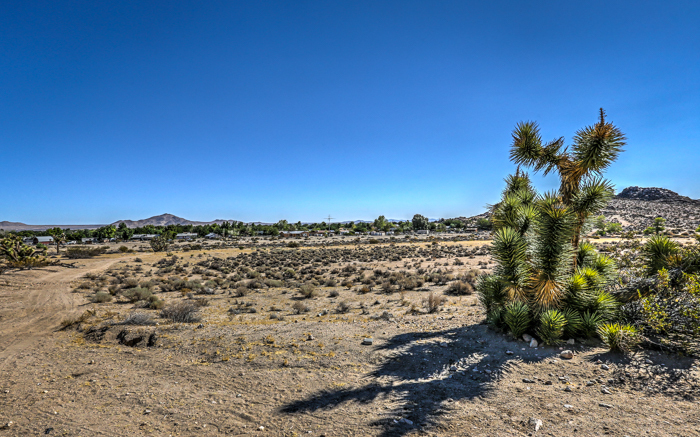 But sometimes, amongst the hot desert wind and dry washes, you can still ride your horse to the outskirts of town and see some film or advertising crew filming, using the area’s barren and undeveloped hills as a picturesque and empty background before packing up and leaving Lake Los Angeles for more bustling home communities elsewhere. 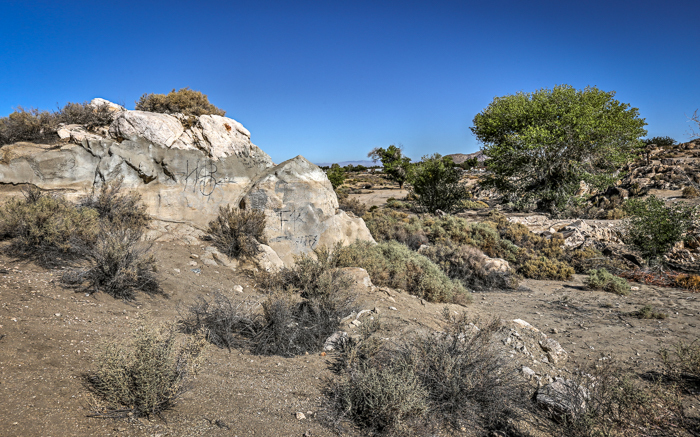 Lake Los Angeles landscape – Joshua trees and creosote scrub. Downtown Lake Los Angeles and the buttes. Recreation Area: The former selling point of the region today in covered in broken glass and spray paint. Receding high water line, visible on a layer of concrete laid over the area’s rock outcroppings. Once lakefront property, surrounding homes now look out over a series of dusty dirt bike trails. 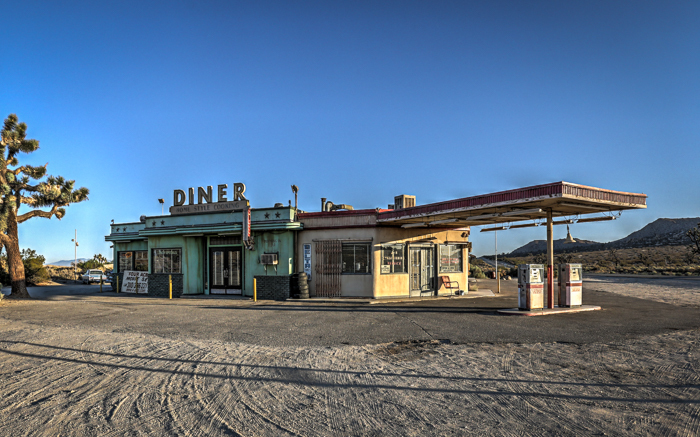 The strange environment is used on multiple movie sets that have been constructed on this distant corner of the Los Angeles area, such as the 4 Aces Filming Location. or see our other blog posts here.